Full specs for Fusion will be announced when the camera officially launches. Originally spotted by 360 Rumors blogger and Immersive Shooter contributor Mic Ty, details about GoPro’s first all-in-one 360 camera, the GoPro Fusion, have leaked. Price and release dates for the camera have also been speculated, based on a giveaway GoPro will be doing to promote the new camera. Although the camera originally featured a maximum resolutionThe number of pixels in an image, typically presented as a ratio of the total pixels on x axis to the total pixels on th... More of 5.2K to 30fps, according to a manual published last week, the camera will also be able to capture 5.7K video at 24fps. It can also shoot 3K video at 60fps, the highest frame rate/resolution combination thus far from consumer-focused 360 cameras. 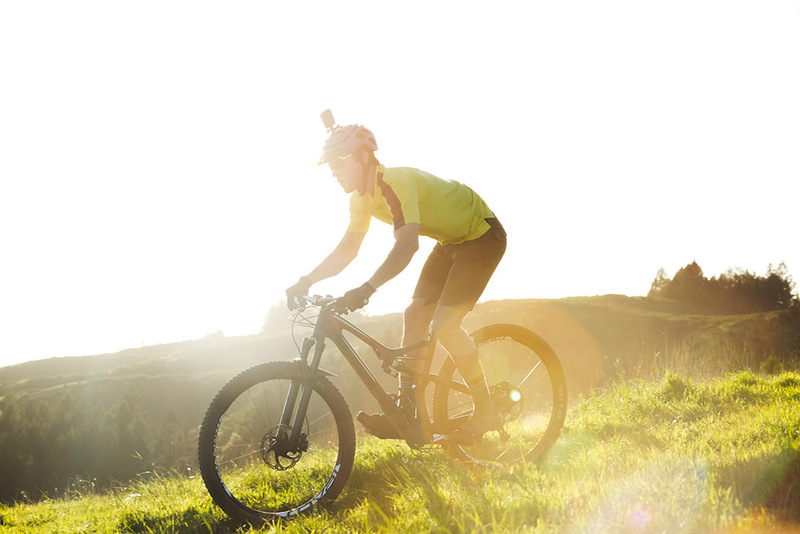 The GoPro Fusion will be able to capture 18 MP photos, has a burst mode of up to 30fps, and can takeIndividual instance of a shot; a take = each time the camera is started and stopped. photos in Raw format. It also has a time lapse video and loop recording modes. According to the details of an upcoming giveaway of the Fusion camera, its estimated retail value is $1000 and winners will receive the camera on or around March 31, 2018. But, as Mic points out, the $1000 retail value could include accessories and the timing of the giveaway may differ from the camera’s actual release date. But, this information does give us a better idea for the price range and release date. 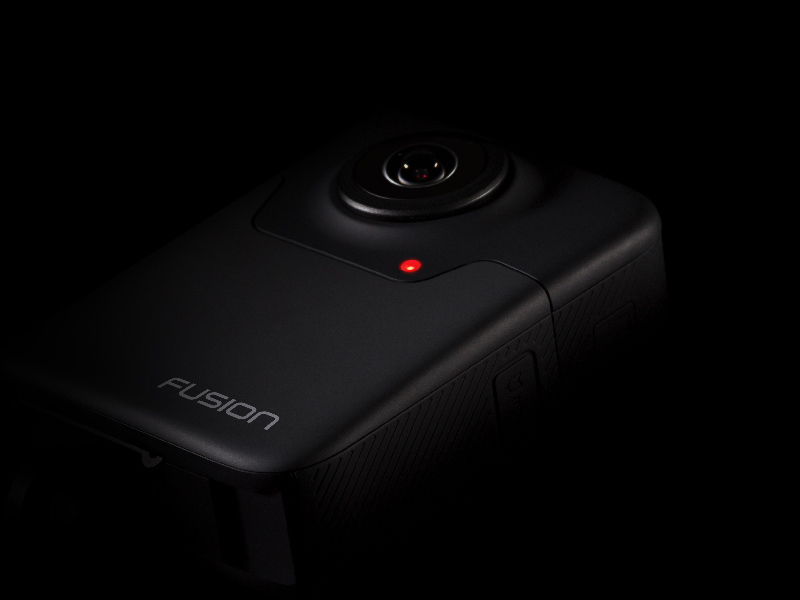 We were already aware that Fusion users would be able to “punch out” fixed frame 1080p video from their 360 video, but we also learned about a few new tricks to expect from the camera. It will be waterproof to 16 feet without a housing and is compatible with the Remo waterproof voice-activated remote for the Hero5 Black. It also features GPS location tagging and will have a quick capture mode to allow users to capture moments instantly when the camera is in standby mode. The camera will also have a protune mode to set the ISO limit and exposureThe measurement of the brightness and range (latitude) of light being captured by the camera. Exposure is governed by ca... More compensation. Its photo ISO ranges from 100 to 800, video, 100 to 6400, and its shutter speed will go up to 30 seconds to capture night sky and light painting shots. Fusion is small enough to be worn like other cameras from GoPro, as seen here. Another unique feature of the Fusion is that it can hold two micro SD cards, perhaps one for each lens. If that’s the case, as Mic points out, there’s probably no in-camera stitching or live streaming capabilities. But, that’s just a guess at this point. Users will also be able to record while the camera charges (via USB Type C port). Although the manual says the camera will have three microphones on top, it doesn’t mention whether the camera will have spatial audio. It’s also unclear if the Fusion will feature internal stabilization. Regardless of what we don’t know yet, this leak does give us a much clearer picture of what (and when) to expect from the Fusion. 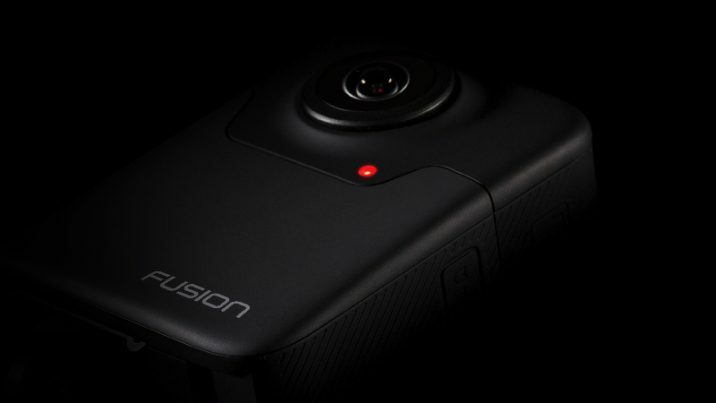 GoPro announced the Fusion back in April, with photos of the camera and its first video samples released in June. Shortly after it shipped its first pilot program cameras in July, we started seeing user samples from the cameras. We’ll share more details about the camera as we discover them.